Fall and Winter months bring cold, dry air which can be hard to escape from. While you can’t control the weather conditions outside your home, you certainly can inside, which is why a humidifier is a valuable product to invest in. Here are five ways that a humidifier can help your skin. Chapped lips is one of the most common, and annoying results of dry, cold weather. As much as we try to bundle up and protect our skin, inevitably, our lips remain exposed. Even when we are warm and snug under the blankets at night, our lips are still exposed to the cold chill in the bedroom. However, a humidifier can help circulate warm, moist air which our lips will love. There’s nothing worse than waking up and immediately having to reach for moisturizer. Sleep should rejuvenate our skin, not make it worse. A humidifier can help to keep your skin moisturized with its warm, humid air. This way you can sleep all night and rest easy knowing that when you wake up, your skin will actually be healthier. It’s best to breathe through our nose. The tiny hairs in our nose helps to trap unwanted air particles, and the nasal passage will warm up the air, making oxygen easier to enter our bloodstream. A humidifier helps out the nasal passage by making the air that much warmer as well as have more oxygen to begin with. Then, the moist air can pass more easily through the nasal passage. Our nose has skin in it, and even if it is internal, can still benefit from a humidifier. Breather easier and healthier. Many humidifiers offer filters that trap bacteria and viruses from entering the air. This in turn means less exposure to elements that make us sick. As Fall and Winter are prime cold and flu months, it’s a nice coincidence that humidifiers are more often used during these times as well. Turn on your humidifier and fall into a deep sleep with the knowledge that the air your will breath is healthy and clean. 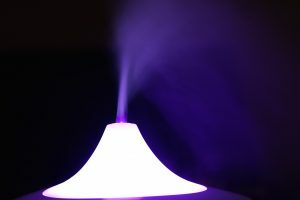 There are now many models of humidifiers which work with essential oils. This is especially great as it reduces the need for multiple machines which can take up a lot of unnecessary space. Fall asleep to the calming fragrance of lavender. This will allow you to sleep more deeply, which will help your skin heal itself of the daily grind. Better sleep also equals better health and skin, so the more well rested you are, the healthier and younger you will look. Glowing skin is what we all strive for, but it can sometimes feel impossible to achieve. Have no fears, though. To help you on your way to vibrant, glowing skin, here are four simple beauty tips. The path to outer beauty starts with inner beauty. When you are confident in yourself, your outward appearance will match. If you find that you don’t have much confidence in yourself, now is the time to stop and think about your purpose in life. Are you happy? If not, what aspects of your life are you dissatisfied with? What can you change immediately and what needs a longer amount of time? What steps can you take for future happiness? Even if you can’t immediately change your life, sometimes a plan is all it takes to turn your confidence around. Knowing that the future will be brighter will inevitably bring its own sense of happiness. Whatever it may be, find a way to be true to yourself and you will be rewarded with glowing skin. Drinking water is one of the most often repeated advice for glowing skin, but it is so because it works. We need water to keep hydrated and that hydration is vital for healthy skin. Water can be found in many sources, such as coffee, tea, and juice, but whenever possible choose basic water. Keep a glass of water or a bottle of water around you at all times. If necessary, set a reminder on your phone. Enlist the help of a friend to keep each other hydrated. The more water the more your face will thank you in the form of glowing skin. The end of the day can mean exhaustion and the last thing you want to think about is a beauty regime. But it’s vital that you wash your face before bed. Makeup and every day grime will clog your pores and a good washing can help to keep your face clean and refreshed. The nice thing about washing your face is that it should easily become just another part of your bedtime routine. Make sure you have a stack of clean washcloths next to your sink. A gentle cleanser should also be included. Once you’ve included washing your face in your bedtime routine, just make it happen and be rewarded with glowing skin. Your face takes a beating, so reward it with a bit of moisturizer. Especially in harsh climates and cold, dry winter months, the natural oils on your skin can dissolve, leaving dry, cracked skin. Invest in a good moisturizer and be sure to apply it in the morning and the evening after you wash your face. It will lead to glowing skin that you can be proud of. Unwanted hair is a common annoyance that women have to deal with but deciding on a course of action can be difficult. Waxing is the most common form of hair removal, but laser hair removal has steadily been entering the scene. Read on to learn about laser hair removal versus waxing to help you in your decision. Waxing is a temporary measure against unwanted hair. While the results last a lot longer than shaving, waxing your hair does not remove it completely. In fact, hair growth can be seen as early as just one week after a treatment. Depending on how long you want your hair to grow, you may have monthly or even biweekly waxing sessions. Laser hair removal, on the other hand, is permanent. Because laser hair removal destroys the hair follicles, eventually all your hair will be gone. However, it takes more than just one session. Each laser hair removal treatment will think the hair by about 20%. It will take, then at least 5 sessions to completely remove the hair. Basically, any area on your body that has hair can benefit from both waxing and laser hair removal. Think carefully, though, about which areas of your body you want to permanently remove hair from. Even if smooth skin is the latest fad, think about which areas you might want to embrace hair on at a later age. Both laser hair removal and waxing can be painful. A skilled aesthetician will be able to minimize the pain with skilful work. It’s also a good idea to take ibuprofen before your session, as this will help relax the muscle are and reduce later pain. Waxing has a higher rate of skin irritation. Red bumps, burns, and ingrown hairs are all side effects of waxing. Laser hair removal does not have these associations. One session of waxing is cheaper than one session of laser hair removal. But, waxing needs ongoing appointments, whereas laser hair removal ends once the hair has been completely removed. Therefore, if you want your hair completely gone, then laser hair removal will cost significantly less in the long run. If you’ve made the decision to opt for laser hair removal, it’s best to do so in the Fall or Winter. This is because the subsequent sessions could take a few months to schedule and complete. Furthermore, the affected area cannot be exposed to the sun. 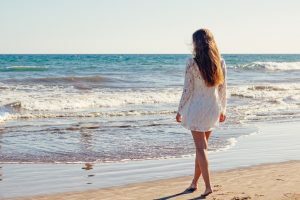 So, if you’re in the middle of treatments and not quite bikini-ready, then it could lessen the enjoyment out of going to the beach. Waxing, on the other hand, can be done anytime. If you plan on hitting the beach, you can schedule an appointment the day before and be confident and ready for the water. In the quest for younger looking skin, there are many procedures that you may discover. Skin tightening is a relatively painless procedure is that is safe, effective, and non-invasive. Skin tightening is a non-surgical process that helps to firm up skin. It uses an infrared light source, also seen as a laser, that heats the collagen under the skin’s surface. As a result, the skin itself begins to contract which makes it tighten and look younger. This treatment also helps to promote the growth of new collagen. New collagen will make the face seem smoother, fuller, and all-around younger. You will be able to see noticeable results immediately after a skin tightening session, which leads to a really nice feeling. There is also no healing time, so you can immediately go about your day without having to recuperate. After the initial skin tightening treatment, best results happen with two or three subsequent treatments. These should be spaced about one month apart. If you’re not sure about the best options for your skin, be sure to speak with your skin technician and create a plan specific to your needs. The best way to prepare for a skin tightening session is to remove all makeup and oils from the skin. Then, the skin tightening practitioner will prep the face area with a topical anesthetic cream. You will wear protective eyewear. While this is a fairly pain-free experience, you can choose to take ibuprofen if you are particularly susceptible to pain. The session itself will last between 30 minutes and one hour. There will be brief pulses from the laser onto the skin and then puffs of cool air to create comfort. If you have any concerns, be sure to raise them ahead of time. One of the biggest advantages of skin tightening is that there is no recovery time after a session. You can even book a session in the middle of the day and go right back to work. Who is Skin Tightening For? As you get older, an unfortunate side effect of age is that skin begins to sag. This is most noticeable around the face and neck and happens to both men and women. If you want a more youthful look but don’t want something as invasive as a face lift, then skin tightening is a great option to try. Fine lines, wrinkles and general skin sagging can all be treated with skin tightening. It is a great, relatively simple way of injecting some youth into your face. Are There Any Dangers of this procedure? Minor side effects of skin tightening include redness and some swelling but should disappear within a few hours. If these do not, be sure to contact your service prodder with any concerns. By now it should be common knowledge that the sun can permanently damage skin. This damage ranges from the unpleasant discomfort of a sunburn to the sometimes fatal diagnosis of skin cancer. No matter what the consequence, it’s important to protect your skin from the sun. The best way to protect your skin from the sun is to just avoid it. This, however, is easier said than done. The worst times to be outside in the sun is the afternoon, so if possible, plan your day around this. Get outside chores like gardening done in the morning when the sun is lower or in the evening. This way you can pick parts of the garden that are more in shade to work in. If you plan on going to the park or the beach, find locations that have plenty of shade. If there is no shade, make your own. There are many beach umbrellas or even pop-up tents that you can bring to create your own shade. Sunscreen is important and while many people understand it, sunscreen is not often used correctly. Start with a powerful sunscreen. Choose one that has a Sun Protection Factor (SPF) of at least 30. Also make sure that it is broad-spectrum, which protects against UVA and UVB rays. Apply sunscreen at least 15 minutes before going out in the sun. Sunscreen needs time to bond together to protect you. If you’re going to the beach, it’s best to apply it before you get in the car and not when you arrive at the water. Then, be sure to re-apply sunscreen every 2 hours. If you do plan on swimming or think you will be particularly sweaty, choose sunscreen that is water resistant. This type is better at staying on. If you’re worried about chemicals in sunscreen, there are now a number or natural, mineral-based sunscreens that are not only better for you and the environment, but they offer the same protections levels. Exposed skin burns. 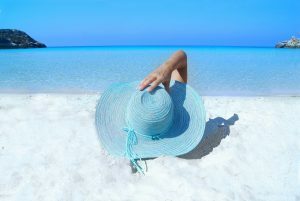 Make sure to wear a hat in sunny weather as the scalp is often left unprotected. Hair can only cover so much, and if you have fine or thin hair, then it won’t offer as much protection. Long sleeved shirts can seem out of place in the summer, but a loose-fitting, white cotton shirt will keep you cool and protect your skin from the sun. The latest fashions might make you look good, but it won’t always protect you from the sun. It’s amazing how much difference a particular mood can make on how you look. If you feel angry or disappointed, your face will seem darker and more negative. Conversely, if you feel happy and joyful, your face will become lighter and more positive. There may be some truth in the belief that happiness is the secret to glowing skin. When you are happy, you are naturally less stressful. Your worries have been taken care of and any problems that may have arisen have been dealt. There seems to be a solution to just about any issue. With less stress comes less wrinkles and worry lines. Reducing stress can also result in more time for physical fitness. When you exercise you cleanse your body of toxins that can lead to skin issues. Blemishes and even acne can all result from stress. If you take stress away, then those skin issues will also go away. All this leads to better, healthier, glowing skin. More exercise also increases endorphins, which also leads to happiness. It’s actually a great cycle. The happier you are, the less stressed you are. The less stressed you are, the more you exercise. The more you exercise, the happier you are. In amongst this cycle is the added benefit of glowing skin. Being happy means that you can take a breath and see the world through a different light. You can suddenly see the good in everyone. Instead of being frustrated that the server at the restaurant is taking too long, you can appreciate that it’s a busy night. Your positivity can translate into empathy. That server is trying hard, is stressed, and would appreciate a kind word from you. A quick thank you and a glowing smile is all that it can take to turn someone’s day around. Happiness begets happiness, so use your glowing skin to pay it forward. Being positive usually increase confidence. When you believe in yourself, you can achieve so much more. And when you have that feeling, it’s shown in how you walk, how you carry yourself, and how glowing your skin is. Being happy means that there are less worries when you lay down for sleep. And, as a result, with less worries comes more sleep. We all know how important sleep is; it’s just sometimes hard to achieve all that we need to get. Happiness allows us to relax, dream a little bit, and wake up refreshed. All this sleep is not only good for our soul, but it is also good for our skin. Happiness plus sleep almost always equals glowing skin. You skin has time to heal itself of the day’s woes. Puffiness is reduced. Water retention goes down. Baggy eyes disappear. All these benefits of more sleep show themselves in glowing skin. Everyone will develop wrinkles in their life. They are just unavoidable. Wrinkles can signify memories, whether full of laughter or full of tears. Wrinkles tell a story on our face. How we feel about them is a personal matter, and there is no right or wrong way to feel about wrinkles. Some people can’t imagine their face without wrinkles. To them, each wrinkle is proof of a life lived. It shows both the heartwarming and the heartbreaking moments that happen in life. Wrinkles show that you’ve survived long enough to have perspective on the way the world is. Not all wrinkles are severe. In fact, most wrinkles are mere accents around the face. And these wrinkles can add distinction to a face. Faces, especially those belonging to older people, can seem unnatural if they are too smooth, too perfect. Wrinkles also show personality. They give dimension and balance and a unique look. Without wrinkles we would all look the same. And how boring would that be? Wrinkles can quickly detract from the youthful beauty that you want to show. And unfortunately, many wrinkles appear before you believe that you’re at an age to warrant them. This is a perfectly acceptable reaction. There is no shame in wanting to either prevent or get rid of wrinkles. There are many women, and a fair share of men, who equate wrinkles with looking old. And there is no denying that extra lines around the eyes or forehead can make your real age seem inflated. As well, wrinkles can give off a tired, exhausted look, and nobody wants that. While most wrinkles appear around the eyes, they can also be found on the forehead and other areas of the face. When too many wrinkles appear, they can distract from the natural beauty of a youthful face. And while some wrinkles may be embraced, too many may lead to a desire to remove some of them. Maybe keep a few of the laugh lines, but smooth out some areas as well. This is when anti-wrinkle treatment comes into play. Through a series of massages, steam treatments, and hydrating masks, wrinkles will quickly disappear. You can decide just how many sessions you want. If you find that it only takes a few to get your face back to where you want it to be, then that’s ok. There are also a number of facials available to help combat wrinkles. These facials will include Vitamin C for rejuvenation. They can also include collagen which helps with hydration. There are many different natural masks to choose from to make any body proud of the way their face looks.